Critical infrastructures (CI) play a fundamental role in modern society. Our reliance on information technology (IT) to provide quality service, however, brings vulnerabilities and security threats. To safeguard against cyber-attacks, CI providers need to ensure the integrity of their interdependent data networks. This paper presents a novel technique for improving the security of electrical power systems (a common type of CI), one capable of identifying both deliberate attacks and accidental faults. Using the Rough Set Classification Algorithm a set of rules can be defined to describe and evaluate the state of the system, including anomalous events such as attacks and failures. A test environment and simulated six-bus power system are used to evaluate the proposed Anomaly Detection System, with good results. 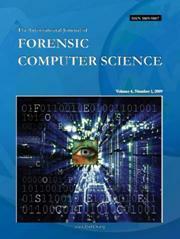 Critical infrastructure protection, electric power system, SCADA, detecting attacks, rough set theory, data mining.